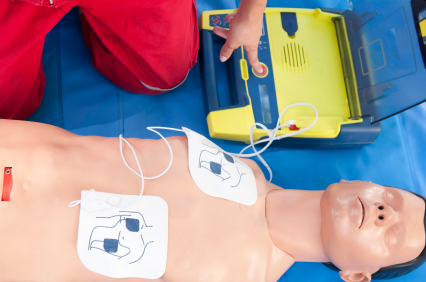 This comprehensive 4 hour course covers the core competencies of the UK Resuscitation Council and is designed to instruct the students in the use of an AED. The approved Automated External Defibulator course teaches the essential skills required by an AED operator and provides candidates the confidence to know what to do in this type of emergency. Our qualified trainers come from a range of working backgrounds and all have an active professional and passionate interest in first aid training.